Calhoun Workforce Solutions offers basic computer classes and advanced technology training that can help you develop new technology skills and enhance existing ones. From beginner to intermediate to advanced, we have options for all learners. 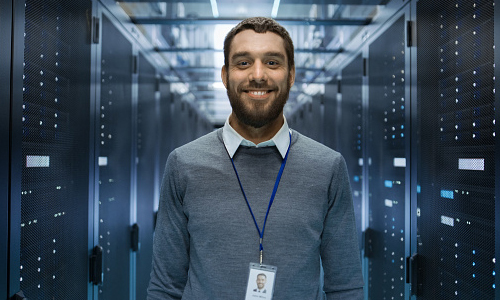 Prepare for industry standard certification through CWS’s noncredit computer certification classes, dive into a new IT/Cyber career with entry level training or achieve your personal goals in technology at your leisure. We offer a variety of noncredit classes to improve your knowledge of the latest software and hardware platforms. Interested in bringing this training to your company organization? Request your Free Consultation today! Workforce Solutions offers customized short or long-term training programs in today’s most in-demand skill areas to business and industry across all sectors. This approach to training is affordable, accessible, and quality driven. Our instructor-led computer productivity training offers you the opportunity to update skills in line with the ever-changing world of technology. From computer basics to the most advanced topics, we can build a course to meet your needs. Training includes hands-on learning and practice. The customized programs begin with an assessment of your goals and expected outcomes of training. Training will then be tailored to the specific needs of your organization and employees and can be offered at your location or on one of Calhoun’s campuses: in Decatur on Highway 31 N, or in Huntsville on Wynn Drive. Consult with your company to develop training plans for your employees. Customize courses to meet your specific training and education needs. Coordinate all aspects of training, including location, equipment, curriculum and instructors. Assist in identifying any supplemental funding that may be available for the training.